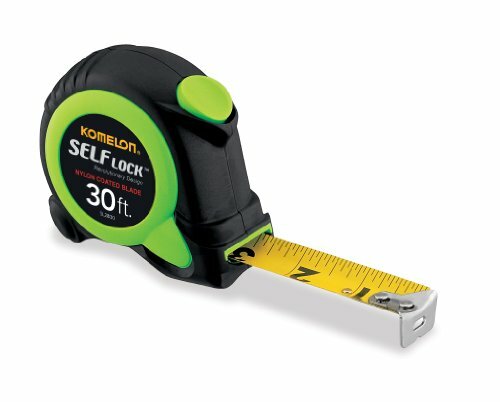 The Komelon SL2830 30-feet auto self-locking tape measure is made with bold inch graduations for clear measuring distances. The premium measuring tape is specially designed with a nylon coated. The 30-feet self-lock tape measure is made with an ABS rubber shell for withstanding drop, falls and bumps on the job site. The heavy duty tape measure has been tested extensively for the daily rigors. The construction tape measure can be stored in a toolbox or on a tool belt.